Okay someone finally ate the Marshmallow, and did their best on the cars last night as well!! 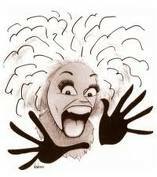 So in continence of the snow and anti-housework theme for the coming weekend, here is a quote from someone that you youngsters out these will not remember - Phyllis Diller!!!! Oh, I'm old enough! She had some doozies, did Phyllis! You know, most recently she's been on an American Soap Opera. She's still cracking, wise. Oddly enough, the word verification on this is "ovens"! Good one!! Better go and change her spelling from an 'i' to a 'y'!!! Yeap Phyliis is great! Yikes to snow alright, sun shone for a bit today and the snow from the roof pulled down the gutters! Mind you there were 12" icicles hanging out of them as it was! !